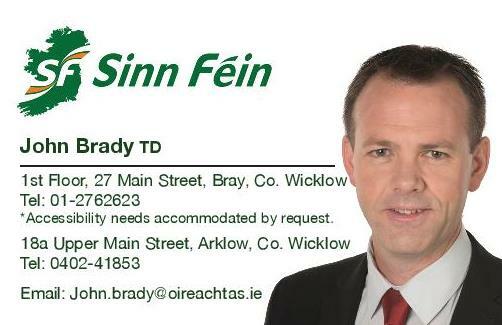 Sinn Féin spokesperson for Employment Affairs & Social Protection John Brady TD has called on the Government to ensure that not only do post offices reopen tomorrow as planned but that sufficient funds are available in all post offices across the State. "On Thursday, post offices in Dublin, Louth and Offaly were reported to have run out of cash as social welfare recipients arrived to collect their payments early, as directed to do so by Government. "This situation cannot be repeated when post offices reopen tomorrow. There are thousands of people relying on these payments to get through the week, including the most vulnerable people in the State. "Where funds are low, the Government need to call on the Defence Forces to assist in getting cash to the affected post offices before tomorrow. "There have been cases where older people were turned away from post offices on Thursday. One gentleman said that as a result, he could not afford food. This is totally unacceptable. "First and foremost, post offices need to be able to reopen tomorrow and they need to be assisted to do so, if necessary. With that, the Government must ensure that all post offices have adequate funds in place. "The cause of uncertainty this week for social welfare recipients is firmly left at the Government's door. This is exactly why Minister Doherty needs to instruct her Department to put protocols in place to ensure the payment of social welfare to recipients during severe weather warnings. I have asked Minister Doherty to do this."